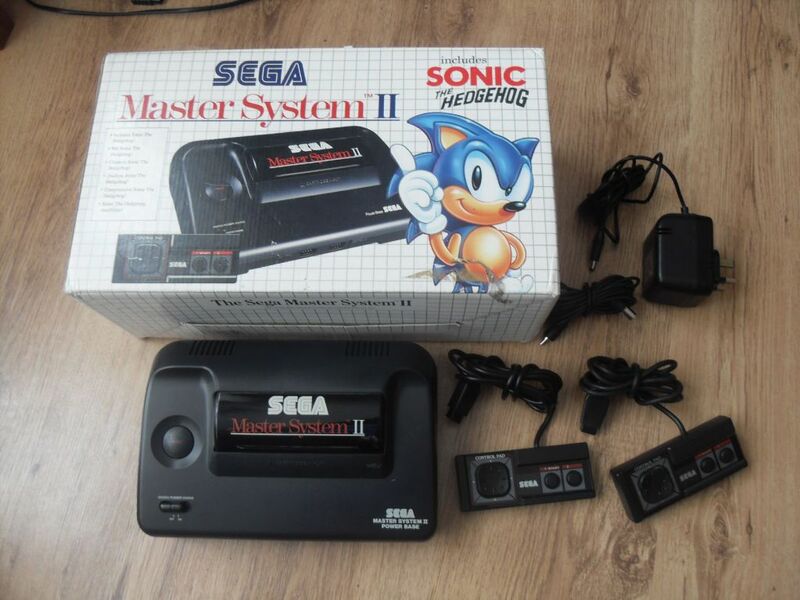 Retro Treasures is back and suggest European readers have a look at this lovely boxed Sega Master System II eBay auction. It comes complete with two controllers, the necessary cables and 6 games, including Golden Axe, Shinobi and Sonic the Hedgehog. That's all for now, but I do suggest you expect more. Soon. Very soon. Why, thank you both so much. Anything in particular you would like to see in Retro Treasures? Just keep teasing me with cool gaming hardware that isn't currently in the Preserve, thereby encouraging my habit, while providing a valuable education! Heck, in the grand scheme of things there is very little in the Preserve, or at least posted, so most anything you find I dig immediately. Actually, I'd say the Preserve is most impressive and features all those 80s toys I fail to cover. Still, thanks again for the kind words. BTW Charlie, I don't seem to be able to grab your site's RSS feed. Any ideas? Hmm, good to know! Thanks for the bug report. I do the site myself from scratch, which means it is always buggy and frustrating :-) Plus, I'm sort of trapped in 1996 regarding my use of the internet, so things like RSS, let alone social networking, boggle my mind! I'll check it out and see what can be done. If I may ask - what rss reader are you trying to use? Google reader. And your .net abilities impress me! Well, thank you for the site compliments! Helps keep me posting.